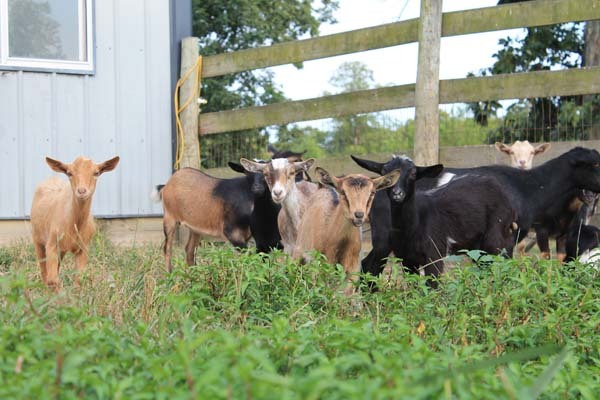 When we moved to the country in 2002, we chose Nigerian dwarf goats for our farm because they have the highest butterfat of any dairy goat breed in the United States. 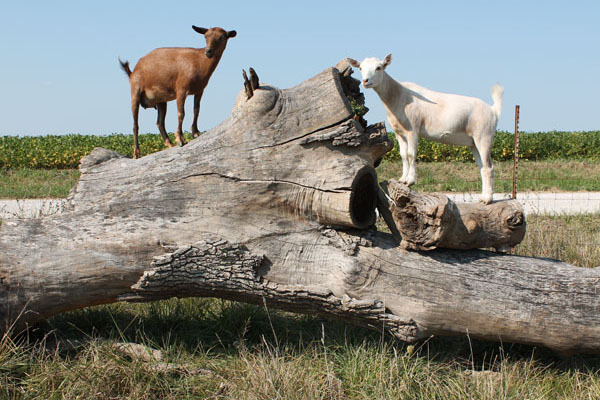 While standard-sized goats have butterfat around 3-4%, Nigerians average 6-7%. We love goat cheese, which was the whole reason we wanted goats to begin with, and Nigerians give a surprising amount of milk for their small stature. The high butterfat makes them an excellent choice for families that want to make cheese. Our first year, we only milked Star, which was more than enough for us to make lots of chevre and French toast and tapioca pudding — and gain weight! We milked two does our second year, and in order to keep the weight gain to a minimum for us humans, we learned to make goat’s milk soap! We also started making yogurt, kefir, ice cream, more varieties of cheeses, including both soft and hard varieties. Today we make 18 different dairy products, including all of our own mozzarella, chevre, queso blanco, cheddar, parmesan, buttermilk, and yogurt. In 2004, we attended our first goat shows, and our daughters became completely addicted — so much that they both wanted to have their very own goats. We showed our Nigerian dwarf goats from 2004 to 2008, and we were on DHI 305-day milk testing for 2006 to 2008. As our daughters grew older, their interests broadened, and our oldest went off to the University of Illinois and became an electrical engineer and now works in Ft. Worth, TX. The youngest is now at Colorado State University working towards her Ph.D. in chemistry. Although it was fun meeting other breeders and bringing home plenty of rosettes — and even finishing two does as permanent champions, one in AGS and the other in AGS and ADGA — I prefer to stay home with my goats. Showing is hard work, and I don’t really feel that it proves the worth of a dairy goat. We did go back on 305-day milk test in 2010, and all of our senior does earned their advanced registry stars. At the end of 2015, we decided to discontinue official milk testing, but we keep extensive barn records, and my husband has fun putting the info into Excel spreadsheets so we can easily compare does’ production. 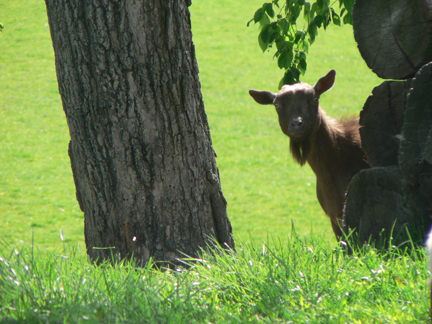 As you tour our Web site, you will notice that our goats have been registered under three herd names — Antiquity Oaks, Maly, and AOF. Antiquity Oaks was the original herd, which registered goats with AGS and NDGA, and Maly was the name our oldest daughter chose for registering the offspring of her goats. When she left for the University of Illinois, she sold her goats to me (her mom). At that time, I also decided to finally get a herd name with ADGA. Antiquity was already taken, so I had to come up with something else. After a lot of whining, I finally decided to just go with my tattoo sequence, AOF, which stands for Antiquity Oaks Farm. AOF is also registered with AGS now, so all goats registered with either registry in 2008 or later are under the AOF herd name. Although Nigerian dwarf goats are a dairy goat, not every breeder milks his or her goats. Some people raise them for show or for pets. 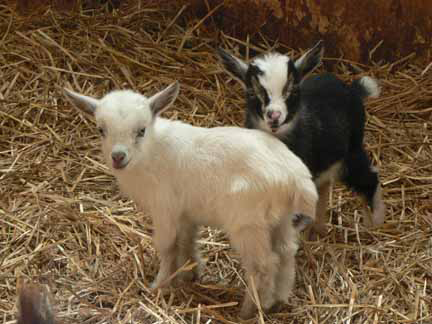 Our goal is to use and promote these lovely little goats as the ideal family milk goat. Since two or three goats provide the perfect amount of milk for most families, there is no need to buy an extra refrigerator for storing gallons of milk. Because these goats are small and friendly, they fit nicely into families with small children. Because some lines of these goats cycle year-round (rather than seasonally like the big goats), you can have a fresh supply of milk all year with two or three goats, breeding them four to six months apart. 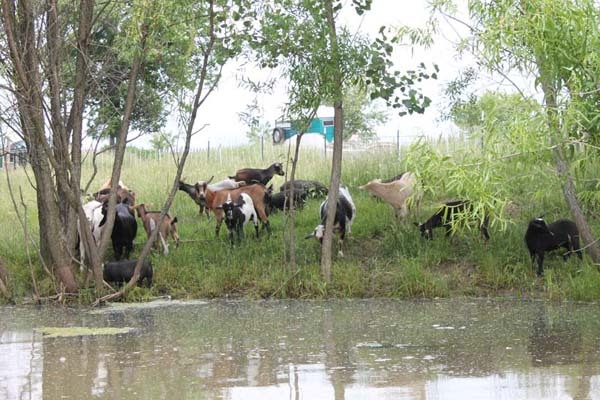 If you are looking for a milk goat, it is important to get one from a breeder who has milked their goats and has first-hand knowledge of their goats’ mammary systems and production capability. Not every goat is easy to milk or has great production, and the only way you know how much a goat produces or if they have easily-milkable teats — or the right personality — is if you’ve spent time milking that goat. Now that we’ve been selectively breeding for the home dairy for 15 years, we are consistently getting doelings that meet our standards as family milkers. In many cases, we own four or five generations behind the kids that we’re selling, so we can give you information about a kid’s parents, great grandparents, siblings, aunts, and other distant relatives. Personality — A goat has to have the right kind of personality to be a good milk goat. If she is doing pirouettes on the milk stand, it’s rather challenging to hit the milk bucket. 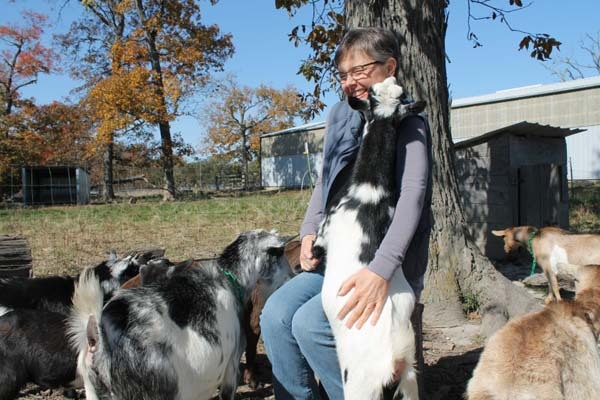 Production — If a goat doesn’t peak at close to two quarts a day (4 pounds) and can’t maintain at least a quart a day for several months, she isn’t really making enough for most families. Teats — If we can’t get our hands on her teats to get the milk out, then she isn’t the right goat for a home dairy. When we decide to sell an adult goat, we are honest in our assessment of their strengths and weaknesses, and we make sure we understand why you want a goat so that you won’t wind up with an aloof brood doe if you really wanted an in-your-face pet. We attempt to make the same good matches with kids and future owners, but since we’re dealing with genetic potential, rather than a mature personality and conformation, it becomes much more unpredictable. No goat is perfect, and our goal is to make each goat’s kids a little better than the parents. To that end, we use bucks whose mothers have mammary systems that we believe will improve upon what our does already have. We hope you enjoy your cyber visit with our goats, and if you are in Illinois, we invite you to personally visit us and our goats. You can learn more about our farm by visiting AntiquityOaks.com. Although I no longer have time to respond to general goat questions from people around the country via email, I created an online network for just that purpose. You can ask questions, create a blog, post pictures and videos, and meet new friends who also love the littlest dairy goats.